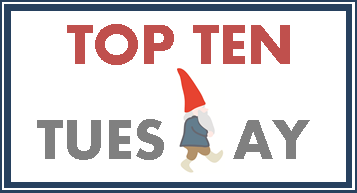 So this week we have the choice between Top Ten Favorite Movies and Top Ten Favorite TV Shows. I tackled the movies list a few months back (see list here), so today I'm going after my favorite TV shows. Summer is always a fun time because I don't feel held hostage by my TV with new shows airing every week. Now, this doesn't mean I don't watch my fair share of television during the summer (hello binge watching! ), but I have the freedom to watch whatever, and that usually means revisiting some of my favorite shows. So here goes, Emily's top 10 favorite TV shows. 1) Chuck - There's Zachary Levi, which makes everything better, but for a pop culture fantatic, Chuck is the ultimate for weird nerdy references and ridiculous characters. Plus it's about a guy, a normal guy, trying to do something extraordinary. 2) Castle - Hello Nathan Fillion! The writing is fantastic, the characters are endearing, and the back and forth between hilarious moments and tense situations keeps you watching. And there's Nathan Fillion. Did I mention there's Nathan Fillion? 3) Lost - For all the good and the bad, I was addicted. I was addicted to the conversations at work the next day and the conspiracy theories created to try and guess what was really going on. I was addicted to the weirdness and uniqueness of the show that no one has been able to pull off since. 5) Veronica Mars - A super sleuth wrapped in a tiny package. I love a good mystery, and I love a good, confident, fierce young woman who doesn't back down. Should she have on occasion? Probably. Absolutely. But I never stopped cheering for her whenever she brought down the bad guy. 6) Psych - Okay, so Psych is most definitely on par with Chuck for pop culture reference awesomeness. Come one! They did whole episodes dedicated to John Hughes and the Tim Curry classic Clue. My face hurt from smiling through the entire episode. 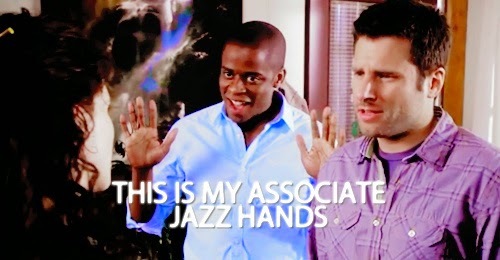 Sean and Gus are the perfect duo, especially when Gus pulls out his jazz hands. 7) Joan of Arcadia - I watch this series in its entirety once a year. I can't help myself. There's something about the search for purpose, the openness of faith, and the fear of the unknown that draws me in every time. 8) Fraggle Rock - Jim Henson and his awesome Muppets have to make any pop culture list in some shape or form. But the kids of Fraggle Rock get me right in my heartstrings. There was a characteristic in each of their personalities that I could identify with, and Henson broached important, meaningful topics in a safe way. Plus there's a talking trash heap. So yeah. It's on my list. 9) Call the Midwife - I cry at every stupid episode. Every single one. The show is so human, and open, and hopefully that I'm always a puddle of tears at the end. I care about these characters and there struggles, and it's so much less soap opera-y than Downton Abbey. 10) Gilmore Girls - I decided after the first episode I saw that I wanted to live in Stars Hollow. I want to go to town meetings with quirky community members. I want to eat at the same diner every day and be best friends with Sookie. I want to watch cheesy movies with the Gilmore girls while eating a disgusting amount of junk food. I want to have fast conversations filled with obscure references. I want to believe a place like this really exists. Doctor Who, Pushing Daises, Saved By the Bell, and New Girl are right on the heels of my top ten. I mean right on the heels. Like 10.1-4 :) We all knew I couldn't really just pick ten, didn't we? What's on your list of favorite TV shows? Haha! I love Call the Midwife - and I do frequently cry as well. I would have to include Doctor Who, Buffy the Vampire Slayer, Angel and Star Trek (Tos and Next Gen.) Spot on with Fraggle Rock! I am pretty fond of Dinosaurs too. Far too many choices to pick just 10. Oh Buffy! How could I forget Buffy?! Lost and Gilmore Girls made my list too! And Joan Of Arcadia is a good one, and I really should go back and watch it again. I don't know how I managed to pick just 10 shows- there are definitely too many good ones. Agreed :) It was super hard not to keep naming TV shows I love! Picking ten is impossible. I haven't thought about Fraggle Rock in ages! How does one binge watch this show? Owning DVDs? Firefly and VM are two of my favorites as well. You might be able to get them from your local library :) I know the first season is on Amazon Prime! So what did you think of the VM movie?